A collection of spas and patios featuring private seating, fire pit, fountain and 5-6 person spas. Arroyo Seco Construction was recently pleased to be able to work on the UCSB Edible Campus Student Farm Project. The project scope including setting up the irrigation and electrical, fencing, pest control measures and building the first few beds to get the project started. Ground breaking day was well attended and showed great community support for the project. Preparations were made to clear and grade the field where irrigation and fencing were needed. Careful attention were given to areas that required extra archeological inspection. One of the many ways you can enjoy your outdoor entertaining spaces into the late evening is with an outdoor fireplace. Creating a magnificent feature in the landscape the Fireplace becomes a focal point and gathering space to congregate. Able to be designed to match any home’s style tying the indoor out on another visual and functional level. While fir pits are low the fireplace can be built to any height creating privacy and an architectural feature, while also directing the smoke away from guests. We recently revisited one of landscape and out door BBQ installations we installed,. We were able to observe how the plants, structures and design have grown and matured; maintaining their integrity over the years. Not only providing years of enjoyment from the past home owners and increasing the home value but will continue to do the same for the future home owners. “Seven people were arrested in a sting operation aimed at curbing illegal contractors attempting to do business with Tea Fire victims.” Meagher, Chris, Tea Fire Rebuilding Sting, Santa Barbara Independent Feb 8, 2009. It is unfortunate that with the recent tragedy it is likely we will see an increase in a wide range of Contractor scams, as we have experienced in the past. Informing yourself on what is illegal or suspicious behavior can be the best way to avoid the pit falls. Avoid rushing into repairs, no matter how badly they are needed. Get at least three bids, avoid hiring the first contractor who comes along. Be cautious about door-to-door offers of repair services and fliers or business cards that are left at your property. Ask friends, family, and associates for recommendations about contractors they have hired. Avoid paying in cash, checks and credit cards provide a record of transactions. Even for small jobs, get proof that the person you are dealing with has a contractor license for the type of work that needs to be done. Get a written contract that details every aspect of the work plan. California law requires that the amount of the down payment for any one improvement project, other than for construction of a swimming pool, may not exceed $1,000 .00 or 10% of the contract price, excluding finance charges, whichever is less . If excavation work is being performed, such as sewers or basement walls, make sure a building inspector inspects the work before it is hidden from view. Authorities also suggest using contractors recommended by the insurance company and getting multiple estimates. Recently completed spas for a local resort, creating private patio spaces. This hardscape and landscape project consisted of front and back yard, both side yards and the driveway. 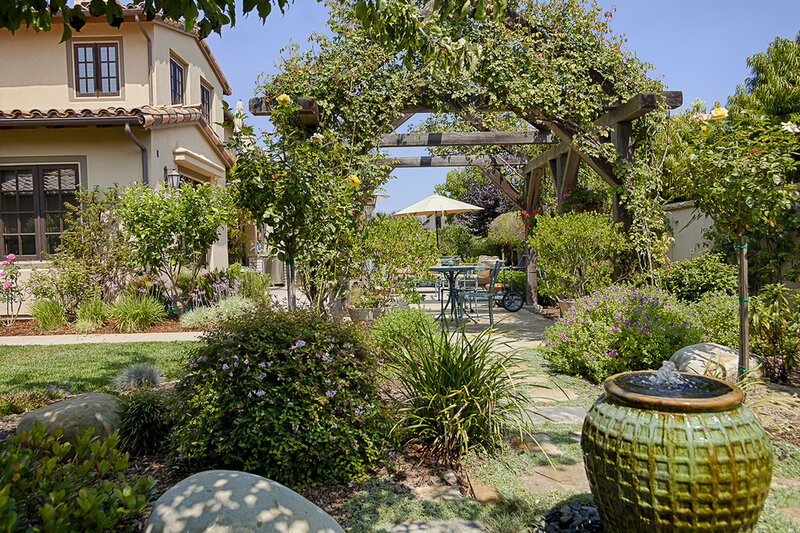 Working with the owners and designer we removed existing yard and regraded the property. The design incorporated a variety of materials cement, stone, wood, metal and glass. 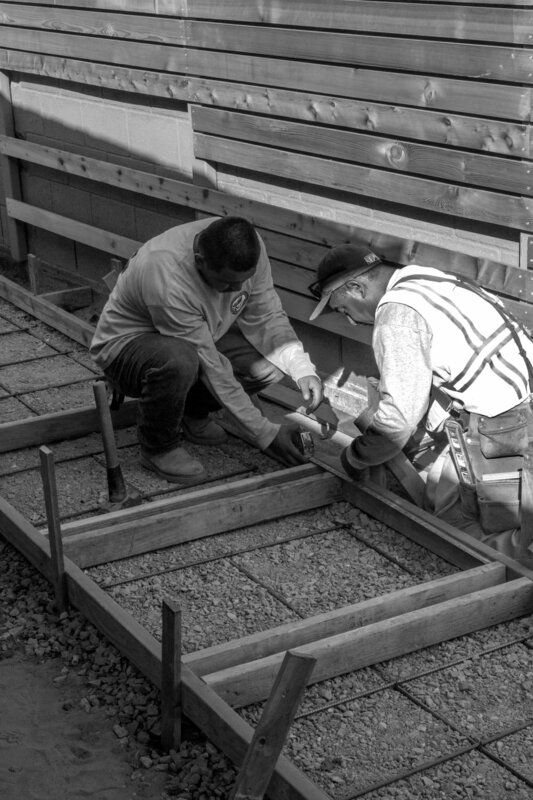 Our masonry crews diligently formed medium sized concrete pavers surrounding the home including the driveway. While our carpenters installed wood paneling on a main feature wall and fencing. 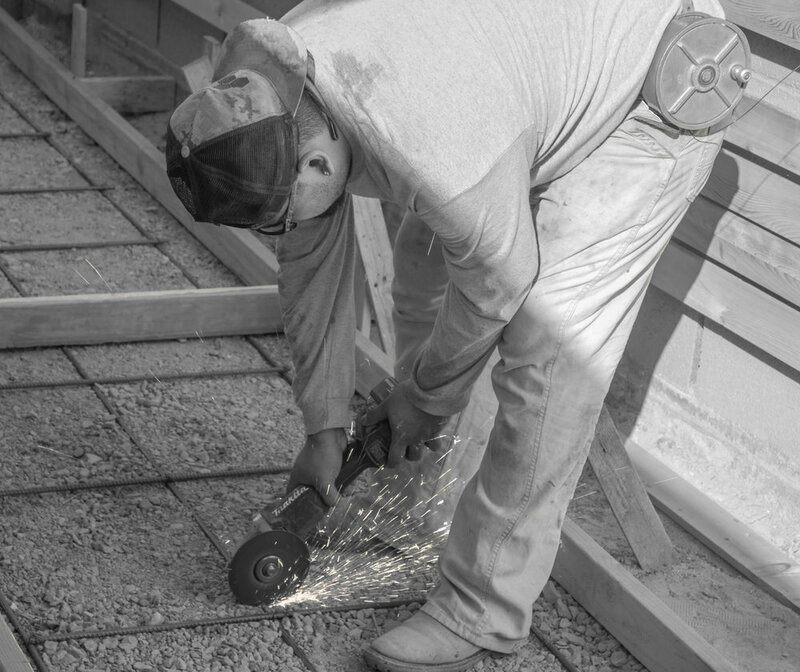 The metal shop was utilized in cutting and welding posts and frames for the fence and glass wall, creating secure and enduring foundation structures. As the landscape grows ls in it will continue to soften the hard edges of the hardscape, at the same time proved pleasing contrast throughout the yard. The Mexican pebbles used throughout the landscape provide long lasting soil protection and ensure high permeability of rain water. The glass walls are a striking feature of the landscape, playing with sunlight and shadow. An impressive wood arbor creating ample entertainment space and shade coverage for several large custom designed wood picnic tables, a tailor made metal fabricated gas fire pit and poured concrete Barbecue pit cooking area. Brick pavers provide easy access for wheelchairs. Metal brackets made in house were utilized to provide the massive wood beams and columns superior strength and integrity to the arbor structure. Photo journal of pool build. Planing and review on site meeting. Finishing hardscape features and landscape design/restoration.